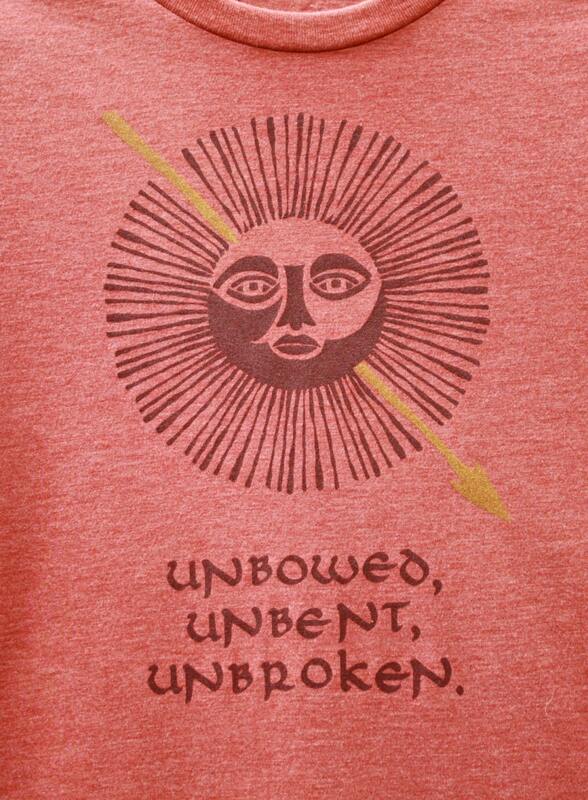 The words of House Martell of Sunspear: Unbowed, Unbent, Unbroken. • Hand printed in dark red + gold ink on a unisex tri-blend crew neck in "clay". • WOMEN'S Chest measurements in inches: L: 35" XL: 37"
Love the shirts! My husband wears his all the time! I am so incredibly happy with this order. The colour is quite a bit darker in real life, but it looks so good that I don't mind whatsoever. The material is great and it fits like a glove. 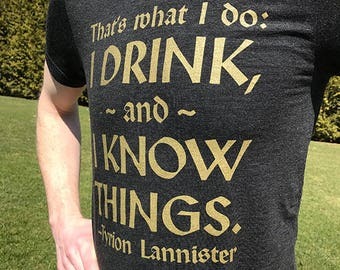 Now I can proudly show my love of my favourite house. Thank you!